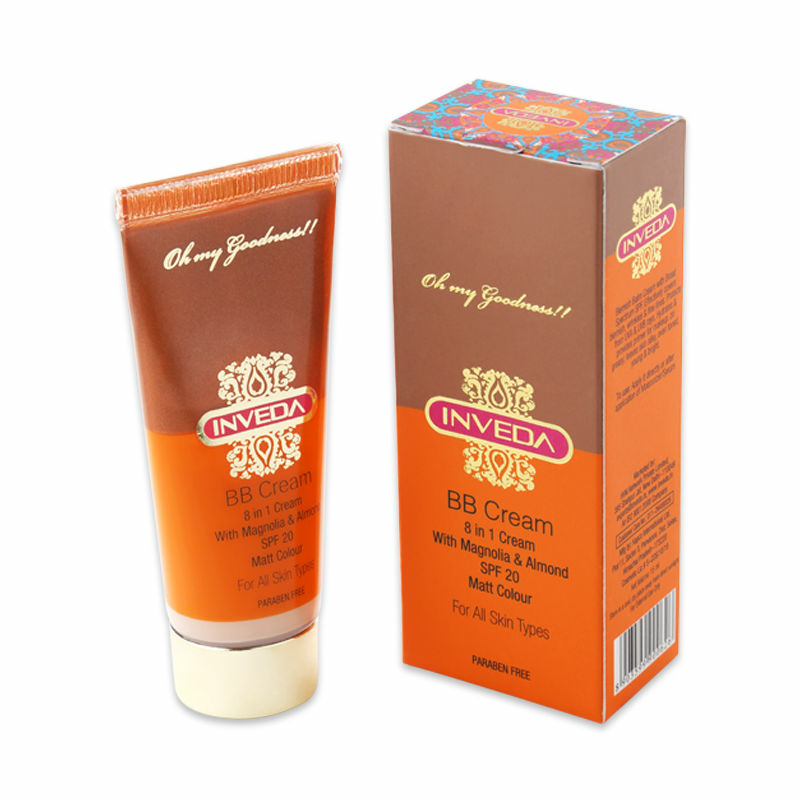 Enriched with Almond & Magnolia, BB Cream provides protection to skin along with other multiple benefits. It effectively conceals blemishes, fine lines & wrinkles & is a perfect base for make-up. Also, hydrates & tones Skin. It is Anti Ageing & has SPF 20 which protects Skin from UVA & UVB rays of the Sun. BB Cream Matt suits wheatish complexion. Explore the entire range of BB & CC Cream available on Nykaa. Shop more Inveda products here.You can browse through the complete world of Inveda BB & CC Cream .